WuXi NextCODE is partnering with Irish life sciences company Genomics Medicine Ireland (GMI) and The Ireland Strategic Investment Fund (ISIF) on a $400 million initiative intended to position Ireland as a key hub for genomics research and development. GMI will become the Irish subsidiary of WuXi NextCODE, with plans to create up to 600 jobs over five years—and grow into the anchor of an International Centre for Advanced Life Sciences (ICALS) modeled on Dublin’s “Silicon Docks” section that houses the European headquarters of tech giants Google, Facebook, Twitter, and LinkedIn. ICALS would build upon GMI's population genomics program and WuXi NextCODE's genomics platform—and solutions such as its novel FFPE method—to provide core infrastructure for a global hub capable of attracting Irish and international companies and institutions. These future partners, ICALS reasons, will specialize in multi-omics, research and bioinformatics, precision medicine development, medical genetics services, digital health, cloud computing, and high-performance computing and artificial intelligence. WuXi NextCODE and other partners in ICALS said early-stage discussions are underway toward funding a genomics accelerator to support new start-ups and early-stage companies with similar specialist skills and research capabilities. The partners cited data by regional life sciences group Biocom showing that the San Diego region’s population of about 3.3 million people generated $33.6 billion in economic impact in genomics and related life-sci sectors—not to mention employment for 37,790 people—from activity by more than 1,225 life sciences companies, from startups to sequencing giant Illumina, as well as 80 independent and university-affiliated research institutes. WuXi NextCODE has committed $225 million to GMI short-term, and potentially increase that investment to $400 million tied to achieving milestones as GMI expands and an ICALS develops. The initial investment will be designed to fund the expansion of GMI to carry out the sequencing of whole genomes from 400,000 volunteers, or 1 in every 10 people in Ireland, including patients with a range of common and rare diseases. The sequencing effort is planned to be one the world's largest whole genome sequencing programs—joining initiatives launched by 10 nations toward gathering, storing, and applying genomic data from at least 100,000 genomes. “This landmark investment in GMI will enable us to rapidly scale our study capacity to upwards of 60 disease areas in research sites across Ireland, giving us operational independence backed by global connections and funding. In doing so, Ireland – its people, hospitals, universities and enterprises – will benefit from a globally leading position in the most important new fields in life sciences,” added GMI CEO Anne Jones. Leaders of the genomics R&D effort said the sequencing effort will help to deliver healthcare benefits to Irish patients and create a unique platform for precision medicine R&D into treatments for conditions that currently have no cure. Ireland is well-suited for the sequencing effort, the leaders added, because it has relatively homogeneous population that makes key genes easier to identify; a population large enough to have significant numbers of both common and rare diseases; high-quality healthcare and medical research facilities; and high participation among the population in similar research programs in the past. “With this partnership between GMI, ISIF and WuXi NextCODE we are creating an ecosystem of expertise in advanced life sciences right here in Ireland. 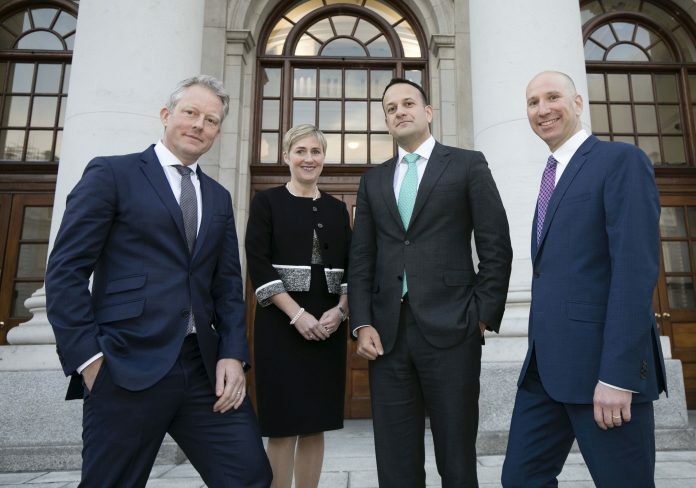 That, in turn, will ultimately deliver better health and wellness management to people and patients in Ireland and turn the advances we make here into benefits for people around the world,” stated Ireland’s Prime Minister or Taoiseach, Leo Varadkar, TD. WuXi NextCODE said it plans to establish a strategic advisory board consisting of experts and key stakeholders from academia, the health sector and industry to help guide the program. WuXi NextCODE's sister company, WuXi Biologics, announced plans on April 30 to establish a €325 million ($367 million) biopharma facility in Dundalk that will create more than 400 jobs, with assistance from economic development agency IDA Ireland. WuXi NextCODE disclosed it is in discussions with IDA Ireland concerning a role in that project, which would create the largest biomanufacturing facility using single-use bioreactors in Ireland.